A crowd gathered around Jesus of Nazareth and wondered: Could this person be the son of David, the one who, like David, wreaks havoc upon our enemies? A few of the local leaders standing by did not take kindly to the clear implications of what they witnessed and accused the man of beating up his own people by the power of the prince of demons. He responded with no ounce of timidity: “Every kingdom divided against itself is laid waste. . . . How then will his [Satan’s] kingdom stand? . . . But if it is by the Spirit of God that I cast out demons, then the kingdom of God has come upon you. Or how can someone enter a strong man’s house and plunder his goods, unless he first binds the strong man? Then indeed he may plunder his house” (see Matt. 12:22–29). What Jesus said in effect here was that paradise was in the process of being regained, that the power of God’s kingdom and thus its presence was the only explanation needed for his dominion over the demons. The crowd wondered as much, and their question showed it. The Pharisees, knowing full well what this kind of ministry meant if it was indeed supported by the one, true God of Israel, decided to accuse Jesus of the only other option: He must really be the enemy, working for Beelzebul, the prince of demons. As interesting as this story is, it is Jesus’ allusion to the binding of the strong man that must hold our attention for a while. Because by it, he suggests that he has had an initial victory. Indeed, some kind of prior battle must have been won if he was going to wage subsequent battles—like exorcisms—with any success. In short, Jesus was claiming that he had already met the accuser, the prince of demons, and defeated him. But when? John Milton wrote of it long ago. In 1671, Paradise Regained was published four years after his famous epic Paradise Lost. It deals with one major event in the life of Jesus, the one major event that Jesus himself considered his initial victory—his temptation by Satan in the wilderness. And Eden raised in the waste of wilderness. Thus begins his poetic rendition of the decisive initial victory of Jesus over the accuser. The working of miracles, not least exorcisms, were evidences that the future kingdom of God had broken through into the present day. The coming of the kingdom was greatly anticipated by the people of Israel in the first century, and when it did come, it was thought that it would be filled with all the pomp and circumstance a complete overthrow of the world would entail. The whole redefinition that Jesus embodied—around himself as Israel’s representative—was, however, mostly unexpected. But the world was being overthrown nonetheless, and the prince of the world (John 12:31; 14:30; 16:11) was being challenged in the name of God. During Jesus’ temptation in the wilderness nothing less than the messianic kingship of God’s anointed was at stake. At the outset of Jesus’ public career we witness this fact (Matt. 4:1–11; Mark 1:12–13; Luke 4:1–13). During his temptation in the wilderness nothing less than the messianic kingship of God’s anointed was at stake. We see this especially with respect to the temptation involving “all the kingdoms of the world.” Who was the real prince? Jesus or Satan? Ultimately at stake, then, was victory over Satan’s kingdom by the kingdom of God. This victory, however, was not to take place by raw power alone, for the Messiah’s obedience to his Father was to be its primary feature. Jesus was not to gain all authority over heaven and earth in a capricious or violent manner (the only kind of authority Satan knew how to wield). Rather, he would have to obtain the authority Satan offered him in the wilderness only in the way ordained by God. This he did, and Philippians 2:5–11 contains a good hymn all about it. The obedience of the Messiah figures prominently in the thought of the apostle not only in this passage but in Romans 5:12–21 as well. In Philippians, Jesus is the one who humbled himself and became obedient to the point of death on a cross (2:8), and in Romans Jesus is the one whose obedience makes the many righteous (5:19). In contrast to the first Adam, this last Adam perfectly obeyed God’s will, and in so doing, undid the disobedience of the first one, defeating sin and death in the process. And this victory was already underway by the time Jesus had rejected Satan’s temptations in the wilderness, the event (as described in Matthew 4:1–11) to which we now turn. After many days and nights of living in the wilderness alone, Jesus is confronted by the tempter. Each of the three temptations the devil throws at him is meant to undermine the very task to which he has been called as God’s Messiah. He was to be precisely what the nation of Israel had failed to be: a light to the world. In response to the Babylonian judgment, the prophet Isaiah assured the Israelites that they are God’s servant whom he has chosen and has not cut off (41:8–9). It is that servant in whom God will be glorified by restoring the tribes of Jacob and bringing back from exile the preserved of Israel. It is that servant who will be a light for the nations so that God’s salvation will reach the ends of the earth (49:3–6). But Satan desired that Jesus, the servant, the true Israel, would doubt this mission and thus avail himself to become Lord of the world through some other means than the one spoken about by the prophets long ago (in, for example, Isa. 38–55). When Jesus was baptized by John, his identity was confirmed by his Father: “This is my beloved Son, with whom I am well pleased” (Matt. 3:17). And what were the first words out of Satan’s mouth in the wilderness? “If you are the Son of God . . .” (4:3). This reminds us right away of the serpent who confronted Adam and Eve in the garden (Gen. 3:1): “Did God actually say . . . ?” In both instances, the tempters call into question the veracity, and thus the faithfulness, of God. In the first temptation, the devil takes aim at the hunger pains Jesus undoubtedly feels. Hunger is a cruel taskmaster, and many atrocities have been perpetrated in order to lift its oppressive weight. But Jesus refuses to succumb to the temptation to take by force what is his by right (see Phil. 2:6). His hunger would have to continue to gnaw at him, choosing as he does to do the will of his Father and endure suffering as his servant. Adam, in contrast, refused to go without, instead judging for himself—despite God’s command—what he should and should not eat. So he ate and plunged the world into despair. There should be no doubt Jesus was tempted to bring about the kingdom through means other than the way of suffering and obedience to the will and covenant of God. The tempter then takes Jesus to Jerusalem, to the very heights of the temple wall. Again, the devil tempts him, this time to throw himself down into the Kidron Valley, knowing full well that the covenant God would not allow his anointed to strike his foot against a stone. If he did so, and God saved him, then everyone around would immediately know and recognize his status as God’s Son. But this was a shortcut, a cheap and shallow way to grasp at the titles Lord and Christ. Adam, in contrast, seized the moment for his own glory, and instead of going the way of humble obedience, exalted himself. In snatching the forbidden fruit, Adam intended to bypass the path of righteousness. He accepted the very shortcut Jesus refused. Finally, Satan takes Jesus to the peak of a nearby mountain, where he says, “All these [kingdoms] I will give you, if you will fall down and worship me” (Matt. 4:9). Undaunted, Jesus binds the strong man in a flurry of rebuke: “Be gone, Satan! For it is written, ‘You shall worship the Lord your God and him only shall you serve'” (v. 10). Contrarily, Adam bound himself in his pathetic attempt to show the world that he was its true lord. Adam’s belly was full; the garden was magnificent and comforting. Jesus, on the other hand, was famished, and the wilderness was as unwelcoming as it was lonely. There should be no doubt Jesus was tempted to bring about the kingdom through means other than the way of suffering and obedience to the will and covenant of God. He constantly saw the tyranny of Rome and of all the other empires that trod the Holy Land underfoot. The people wanted action, violent if necessary, to overthrow the yoke of their oppressors. But tempted as he was to answer his calling in that particular way, there was another way to which he was utterly faithful. He saw the temptation for what it was, an end around the plan and purpose of his Father. Having defeated the accuser in this initial victory and confirming the tone of his mission, Jesus began his public ministry, putting into practice the results of this battle (exorcisms, healings, and so on). In this manner—through the faithfulness of Christ—paradise was beginning to be regained. And in time, all things will be restored (Acts 3:17–21). Until then, being in Christ means that we too have been called to take part in God’s regaining of paradise. 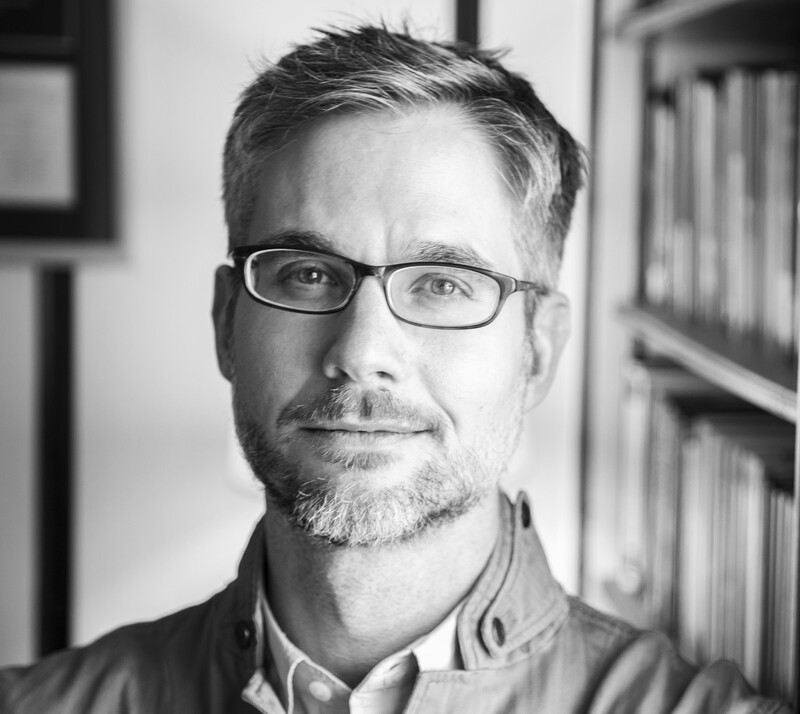 Chris Donato (MA Reformed Theological Seminary) is the co-founding editor of Sapientia and assistant vice president of university communication at Trinity. He holds baccalaureate degrees in both literature and journalism from John Brown University, and is currently pursuing a PhD in systematic theology at TEDS. He is former senior associate editor of Tabletalk magazine, editor of Perspectives on the Sabbath (B&H, 2011), and author of several articles online and in print.